- Cook broth and vegetables for 30 minutes at low heat. 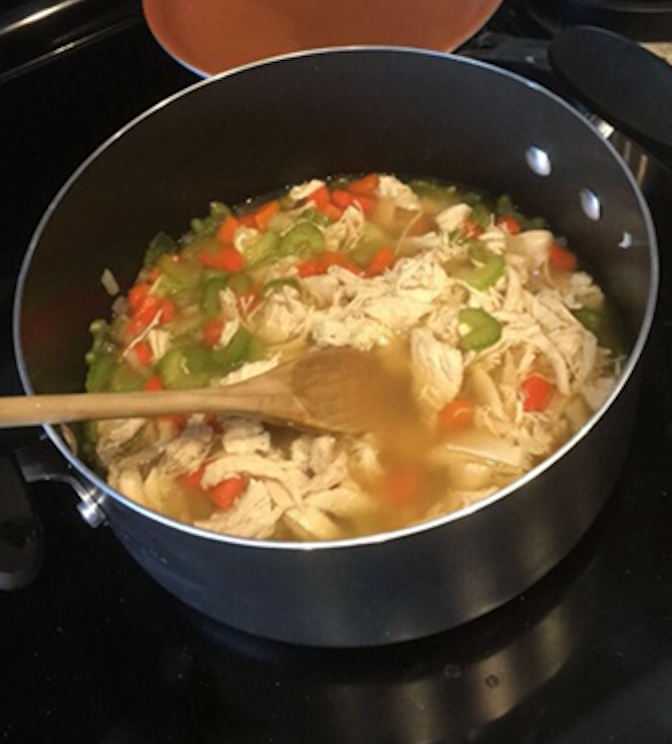 -When chicken is cooked, shred it off of the bone and place into the broth. -Cook broth for another 30 minutes at low heat.